Finally! The weekend after Thanksgiving the league, the owner, and the union, the players, came to an agreement and the 149- day long dispute between players and owners came to an end. Below I will talk about a few of the changes made in the new Collective Bargaining Agreement (CBA). This agreement will last a total of 10 years but contains a mutual opt-out after the season is over in 2017. This means that either the owners or players can get out of this agreement in 2017 if they wish. 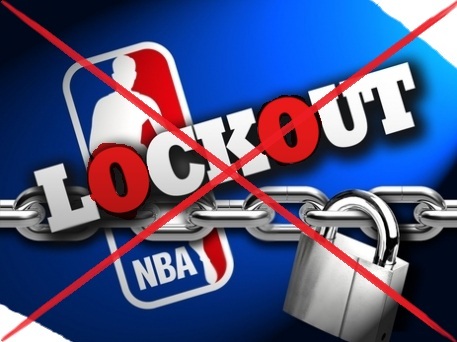 If either side opts-out they could face another lockout in 2017, if the owners and/or players don’t they will not have to worry about another possible lockout until 2021. This season (2011-2012) players will receive 51.15% of Basketball Related Income (BRI) with owners getting 48.85%. In seasons to follow, the players get 49% to 51% depending on how much the BRI falls short of, meets or exceeds the estimated amount. Players will also put 1% of their share into a new pool that goes toward post-career benefits. For those who are not sure, a BRI consists of ticket sales, television contracts, concessions, parking, stadium advertising that is for that particular season, etc. The salary “floor”, the amount teams must spend each season, is set at 85% of the salary cap this season (2011-2012) and next (2012-2013). After next season for the remaining seasons in the agreement, teams must spend at least 90%. The Luxury Tax Rate for the 2011-2012 season will remain $1 for $1. This means that for every $1 a team spends over their salary cap, they will have to pay a $1. After this season the rates will increase for each 5 million. So teams will pay $1.50 for each $1 over for 0-5 million dollars, $1.75 for each $1 over for 5-10 million dollars, $2.50 for each $1 over for 10-15 million dollars, and $3.25 for each $1 over for 15-20 million. If a team has to pay tax for 4 or more seasons out of 5 their tax will increase $1 for each level ($2.50, $2.75, $3.50, $4.25). Then a maximum 50% of the tax amount will be distributed between the teams that did not have to pay tax. If a restricted free agent ( a player whose original team has the right to keep if they can match offers with other teams wanting the player) is given an offer, their original team has 3 days to match the offer. A rookie can now sign to deals of up to 30% of the salary cap if they contain 2 of the 3 criteria. The criteria is receiving the MVP award; starting in the All-Star game twice; and/or getting 1st, 2nd or 3rd in all-NBA teams two or more times. Veterans can extend their contract to 5 seasons, including what is left in their contract – thus making their contract an Extend-and-Trade. Rookie contract players may extend theirs to 4 additional seasons. If a team trades a player, they cannot resign the player until one year after they leave the team. But if the player’s contract is up when that season ends, their old team can sign them back after July 1st. I look forward to the seasons to come and seeing how or if these changes help make things better in the NBA.